The hardest items to prepare for storage or moving in the home are appliances such as refrigerators, stoves, microwaves and dishwashers. If you are moving appliances to a new home or to a storage unit, it is very important to properly prepare the appliances, so they can be easily set-up and used again in the future. Appliances can be either placed first or last on a moving truck depending on which items are needed to be moved set-up first into the new home. Check manufacturer’s instructions for specific storage/moving information for each appliance before you start the packing process. 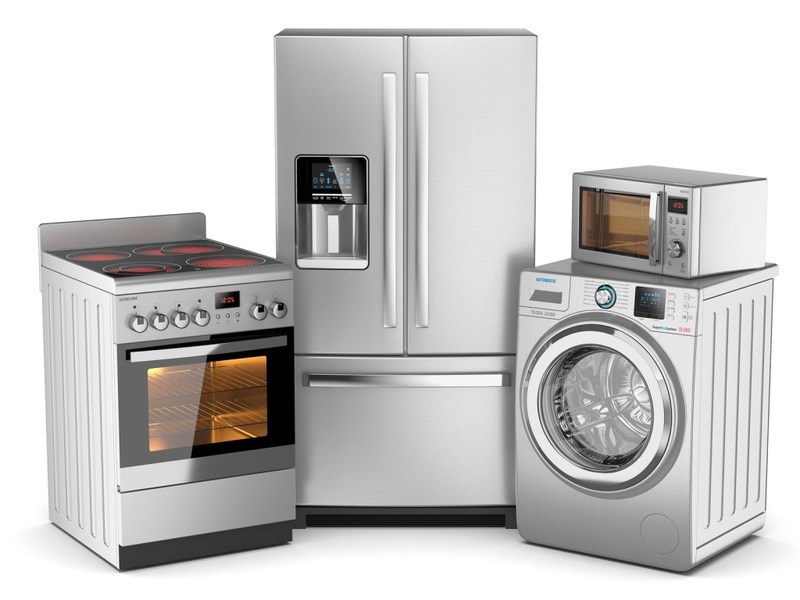 For any appliance, the most important thing that has to be done before moving is to do a thorough cleaning, which includes removing all food and cleaning the appliance inside and out. By following the moving appliance and storage tips below, you can easily get your new kitchen running in no time. Defrost refrigerator and freezer at least 3 days before moving. Drain icemakers and water supplies and allow them to thoroughly dry. Thoroughly clean the inside of the refrigerator. Remove the trays and drawers from the refrigerator and clean with a mild detergent. After unplugging, dust or vacuum the coils on the outside of the refrigerator. Wrap the refrigerator in blankets and place upright on a moving dolly. Do not move a refrigerator on its side as it could cause damage to the refrigeration coils. Tape the doors shut while in transit. When it is placed in a storage unit, remove the tape and leave the door slightly ajar to prevent moisture build-up. Before cleaning, remove any pans (broiler pans) from the inside of the stove. Then, clean the stove inside and out. If you are moving a gas stove, have a professional turn off the gas and disengage the piping. Then, have the professional set up the stove in your new home. Electric stoves can just be unplugged when they are ready to be moved. Tape down the knobs and the plug on the stove to prevent them from becoming loose in transit. Wrap the stove in a moving blanket for extra protection from dents and scratches. Run an empty dishwasher one last time before preparing to move. Unplug and thoroughly clean the dishwasher. Let the dishwasher air dry for at least 24 hours before moving. Disconnect and clean the dishwasher hoses. Once these are dry, wrap them in towels or newsprint and place inside the dishwasher for future access. Tape the cord onto the side of the dishwasher and wrap in blankets for transport. Remove and clean the glass turntable from the microwave and then clean the microwave inside and out. A tip for hard to remove stains is to place a damp sponge with vinegar in the microwave oven and run for a minute. This will help loosen the food particles inside the microwave allowing for easier cleaning. Place the microwave in its original packaging whenever possible. If the original packaging is not available, the microwave can be moved and stored in a very sturdy cardboard box. Make sure to add lots of filler material (newsprint, bubble wrap, or linens) for extra protection. Tape the glass door shut during transport with the cords taped on the side of the appliance. Self storage is a great solution for short-term and long-term appliance storage. By properly preparing them for moving or storage, you will be able to keep the items in good working order when you need them. Storage World has a variety of storage unit sizes to fit every household storage need. Stop by our three Atlanta self storage locations to find out more information about our climate controlled storage units, state-of-the-art secure storage systems and our easily accessible storage units.